Since it was introduced in 1986, California’s Proposition 65 (Prop 65, shorthand for the state’s Safe Drinking Water and Toxic Enforcement Act of 1986) has regularly broken new ground on ways government can compel businesses to warn the public about the dangers of chemicals in products, structures, and the environment. Here we will summarize Prop 65 developments that have occurred over the past year. The Office of Environmental Health Hazard Assessment (OEHHA), a division of California EPA, administers Prop 65 essentially through two regulatory paths. First, it maintains a list of chemicals known to cause cancer, birth defects, or other reproductive harm. The OEHHA must annually update this list, which now comprises over 900 entries (the most recent list is available here). Chemicals are added to the list based on research performed by the OEHHA’s Science Advisory Board or because of findings made by an authoritative body. The OEHHA’s designated authoritative bodies are the U.S. Environmental Protection Agency (EPA), U.S. Food and Drug Administration (FDA), National Institute for Occupational Safety and Health, National Toxicology Program, and International Agency for Research on Cancer (IARC). Warning requirements take effect 12 months after the date a chemical is added to the Prop 65 list. Second, the OEHHA determines how businesses must comply with Prop 65’s requirement that no business may knowingly and intentionally expose any individual to a chemical on the list without first giving clear and reasonable warning to such individual. The OEHHA has also established safe harbor levels for more than 300 chemicals on the Prop 65 list. A safe harbor identifies a level of exposure to a listed chemical that does not require a Prop 65 warning. In addition, Prop 65 prohibits companies that do business within California from knowingly discharging listed chemicals into sources of drinking water. Once a chemical is listed, businesses have 20 months to comply with the discharge prohibition. 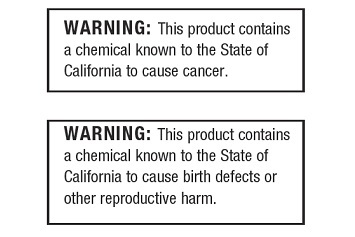 Prop 65 is broadly enforceable. 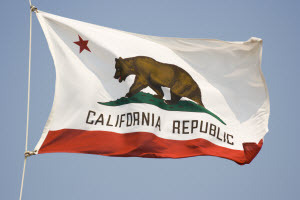 Enforcement at the state level is conducted by the California attorney general. Any district attorney or city attorney (for cities whose population exceeds 750,000) may also enforce Prop 65. Moreover, any individual acting in the public interest may enforce Prop 65 by filing a lawsuit against a business alleged to be in violation of the law. All these parties have taken many businesses to court with charges that Prop 65 has been violated. But the right of private citizens to sue—called the bounty hunter provision, which allows citizens and their attorneys to collect a portion of any settlement—exposes businesses, and particularly small business that may not be familiar with the regulations, to an uncommonly populous and diverse set of enforcers. Penalties for violating Prop 65 by failing to provide warnings can be as high as $2,500 per violation per day. Businesses with fewer than 10 employees and government agencies are exempt from Prop 65’s warning requirements and prohibition on discharges into drinking water sources. With that background, following are key Prop 65 developments—with links to primary documents—that have occurred over the past 12 months. June 15, 2018. Proposed clarification: exposures to listed chemicals in coffee pose no significant risk. The OEHHA noted that after reviewing more than 1,000 studies of coffee and cancer, the IARC concluded that there was inadequate evidence for the carcinogenicity of drinking coffee and placed coffee in its Group 3—Not classifiable as to its carcinogenicity to humans. The OEHHA’s proposal follows a legal battle in which the Council for Education and Research on Toxics (CERT) mounted a Prop 65 suit against coffee companies, claiming they violated the law by failing to meet warning requirements for their product. A California judge found in favor of CERT, agreeing that acrylamide, a Prop 65 chemical, is formed when coffee beans are roasted. The OEHHA issued its proposed clarification 3 months after the ruling. The warning may be provided in a letter to each known adult occupant and to “Tenants and Occupants” if the names of all the adult occupants are not known. The warning may be provided in an e-mail to each e-mail address used to communicate information to the known adult occupants and to other tenants and occupants. The warning can be included in the lease or rental agreement but only as to parties who signed or are named in the lease or rental agreement. The warning may be provided to other known occupants using one or more of the methods in (1) or (2). Annual warnings are included in a renewed lease or rental agreement after the initial term. The annual renewal of the warning may be provided using one or more of the methods in (1) or (2) or may be provided in renewal lease or rental agreements for the property but only as to the parties who signed or are named in the lease or rental agreement and only for the year in which the lease or rental agreement is renewed. November 10, 2018. Perfluorooctanoic acid (PFOA) and perfluorooctane sulfonate (PFOS) subject to Prop 65 warning requirements. Effective November 10, 2017, the OEHHA added PFOA and PFOS to the list of chemicals known to the state to cause reproductive toxicity (developmental endpoint) for purposes of Prop 65. As noted above, businesses must comply with Prop 65’s warning requirements no more than 12 months after a listing is made—that is, by November 10, 2018. PFOA and PFOS are surfactants that have been used in a variety of consumer products, including carpets, textiles, leather, nonstick cookware, and paper coatings used in food packaging, to confer stain, grease, and water resistance. PFOA is used in the production of fluoropolymers. PFOA and PFOS are generated as degradation products of other perfluorinated compounds. The listing of PFOA and PFOS is based on formal identification by the EPA that the chemicals cause reproductive toxicity. In 2016, the EPA issued a lifetime drinking water health advisory for PFOA of 0.07 micrograms per liter based on a reference dose (RfD) derived from a developmental toxicity study in mice. Also in 2016, the EPA issued a lifetime drinking water health advisory for PFOS based on an RfD derived from a developmental toxicity study in rats in which developmental toxicity was manifested as reduced body weight of pups on lactation day. November 16, 2018. Proposed amendments to Article 6: Clear and reasonable warnings. The amendments are intended to clarify an existing regulation related to the responsibility of intermediate parties in the chain of commerce to pass along consumer product exposure warnings. Specifically, the amendments would clarify the existing regulatory provisions by placing the primary obligation for providing a Prop 65 warning on the product manufacturer, thus minimizing the impact of the warning requirements on the downstream retail seller. Under the proposal, the manufacturer, producer, packager, importer, supplier, or distributor has two compliance options—either provide a warning on the product label or provide a written notice directly to the authorized agent for the business to which they are selling or transferring the product or to the authorized agent for a retail seller. The amendments would not impose any significant new requirements on those businesses, according to the OEHHA.